A free consultation can be a huge benefit to any practice, when handled properly. We have seen law firms excel at making free consultations work for them, and others who have struggled with defining and utilizing a process that works. We have reviewed the best and the worst, and found that it comes down to just a few key points. Here are our best practices for handling incoming phone calls for potential new clients that would be interested in your free consultation. Speak clearly and slowly introducing yourself as Attorney ‘John Smith’ or identify the law practice by name, not just “law office,” which we hear a lot. Get their contact information, including their name, phone, and email address, before proceeding with the call. Ask, “How can I help you?” and listen to their response. Show empathy & compassion for their plight. If yes, ask them to schedule a consultation at no cost so you can “review their situation and provide the best advice going forward, so they can walk out knowing they are doing the right thing in their individual situation while avoiding potentially costly mistakes.” Provide one very immediate appointment time for the hot ones, and offer one a few days out if they need to gather paperwork or prepare for the appointment. They may have to schedule with someone else as well, such as the actual client or spouse, so providing them with two options can give them some flexibility. Set the appointment and call to remind them of it the day before. You should always ask if you have their permission before texting any appointment confirmations. Do not get into the details. You are only requesting and providing general information so that you can each determine if this is going to be the right fit for you. Neglect to ‘Stir the Pain.’ As you discuss the consultation, add comments regarding how important it is to handle the situation as soon as possible, that the right advice can keep them from making potentially costly missteps that may ultimately hurt their case. With the proper, fully-tested process in place, you can turn a mediocre practice into a high-converting, high-dollar practice with a steady stream of new clients. Sometimes a simple turn of phrase can make all the difference, so pay attention to what works for you, what doesn’t, and share what you have learned with all the members of your team that answer the phone. 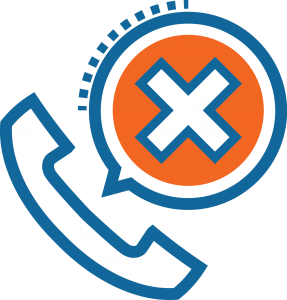 If you would like to review how your staff is currently handling your incoming calls, we can provide you with access to your call recordings, or perform an in-depth, personalized analysis of your call handling process for you. If you are not a current client, and would like to learn more about the attorney marketing services provided by Mark My Words Media, complete the form or call us at (877)721-8491.